Surplus Center Inc. has been the hometown hero when it comes to hardware, tools, upholstery supplies and more, since 1968! Whether you need a specialty tool or custom welding services, we’re the only destination you need to visit. Let us help you get the products and supplies you need to get the job done. We’re happy to take on the job and will produce results that are precise and high-quality. Why search high and low for the tools, hardware and other parts you need for your project? Instead, visit Surplus Center Inc.! As one of the oldest hardware stores in Grand Forks, ND, we’re well-acquainted with everything you’re looking for and have a store that’s fully stocked with tools, hardware, supplies and specialty parts. From hand tools like wrenches and screwdrivers, to upholstery supplies, trailer hitches and foam rubber products, our selection is expansive and diverse—everything you need, all in one place, all at the right price. 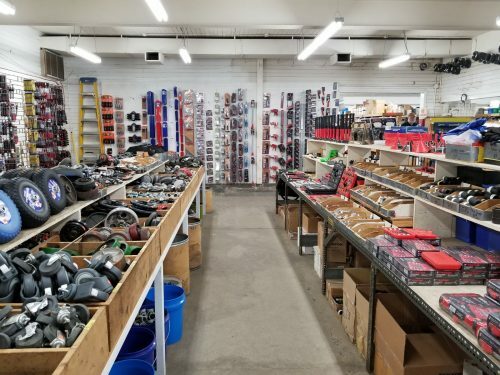 Customers of all types come to our tool store in Grand Forks, ND to get the products they need because they know they’re going to get a great price. We buy in bulk, passing the savings onto our customers! You buy by the pound and get your money’s worth—whether you’re a homeowner making simple repairs or a contractor working on a major project. We’re so committed to helping our customers that we’ll even tackle small custom welding projects! We invite you to stop by today and take a look through our selection. If you can’t find what you’re looking for we’re happy to help. Whatever it takes to make sure you leave happy and come back next time! We’re a family-owned and -operated company, giving every customer personalized attention and understanding. We have been a part of this community since 1968! We purchase all hardware and tools surplus, directly from the manufacturer. This allows our customers to buy by the pound at the lowest prices in town! Our inventory is open to individuals, contractors, agricultural operations and more. Our mission is to make sure everyone has what they need. Our tool selection is one of the best in the area. From regular tools to specialty ones, stop in and get what you need to complete your project. Don’t let a lack of tools get in the way of getting a job done right. Visit our store today to find everything you need, at prices you’ll be glad to pay. 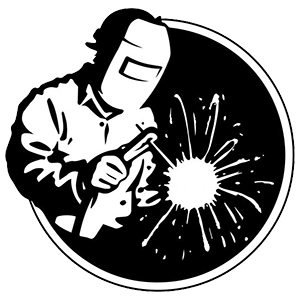 We even offer custom welding!